This bear enjoyed a full page to lead off an article that "Teddy Bear & friends" Magazine published on my work in April/May 1995 issue. 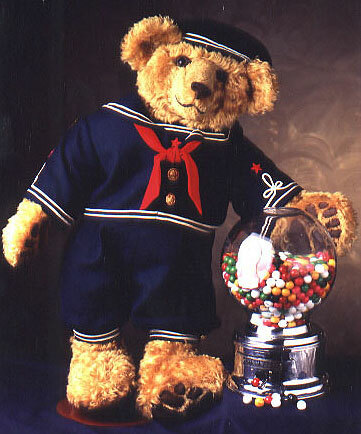 Sailor Bear is 28" tall and of 1" extra dense mohair. His clothes are hand made from wool gabardine with old british naval buttons on his coat.